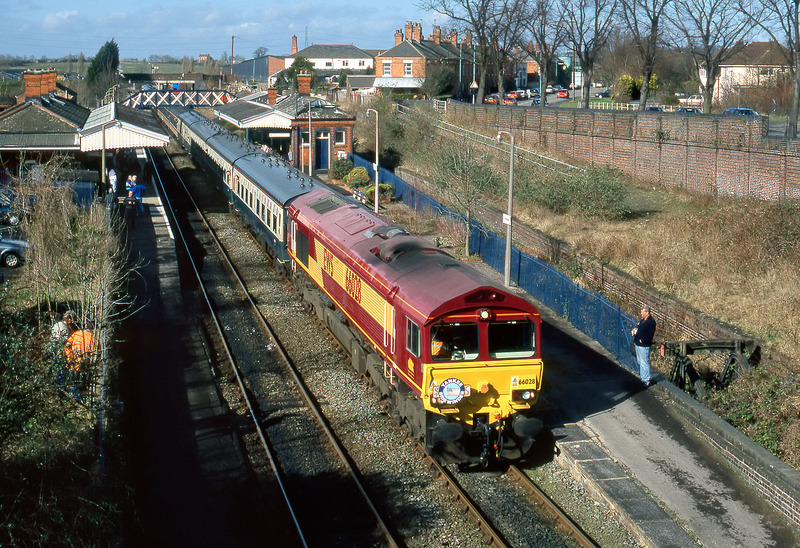 66028 arrives at Evesham station on 27 February 1999 with the Pathfinder Tours 1Z45 06:34 Sheffield to Trowbridge 'Yankee Sidewinder' railtour. Presumably the highlight of the tour was the then novel appearance of a Class 66 on a railtour (certainly a first for the Cotswold Line). However, I was more interested in the superior form of US built traction that was added to the train at Oxford.